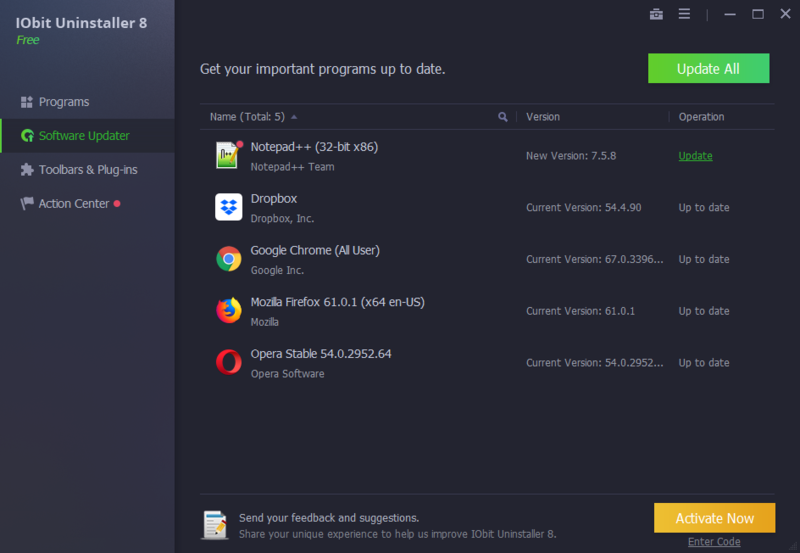 "IObit Uninstaller is easily the best Windows uninstaller utility I've tested." 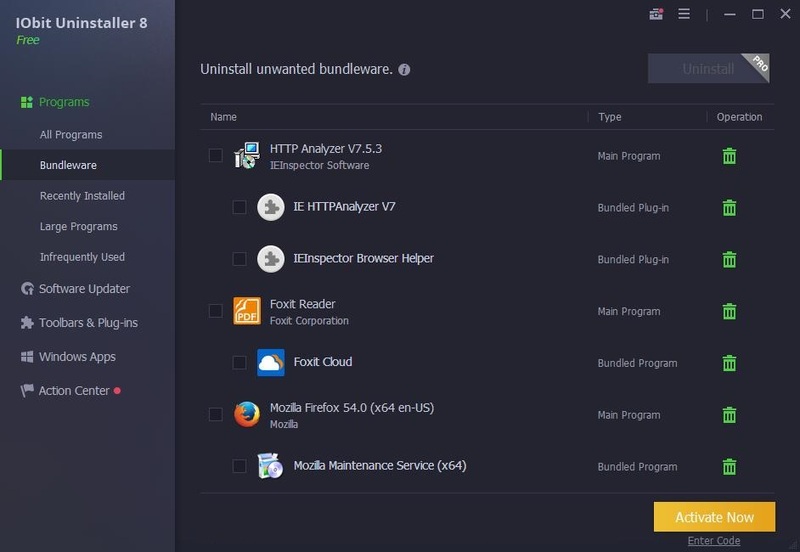 "If you need a program that lets you cleanly and completely uninstall applications, fire up IObit Uninstaller. This free utility makes it a breeze to delete apps, including stray files that are often left behind when you use Windows to delete software from your hard drive or SSD. 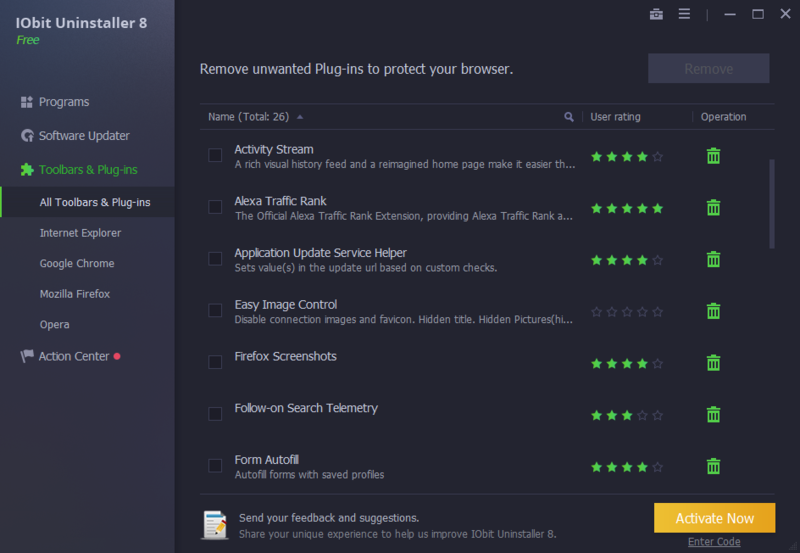 Competing free tools perform similar functions, but IObit Uninstaller bests those rivals with its community-based suggestions and ability to remove annoying Web browser toolbars and plug-ins." 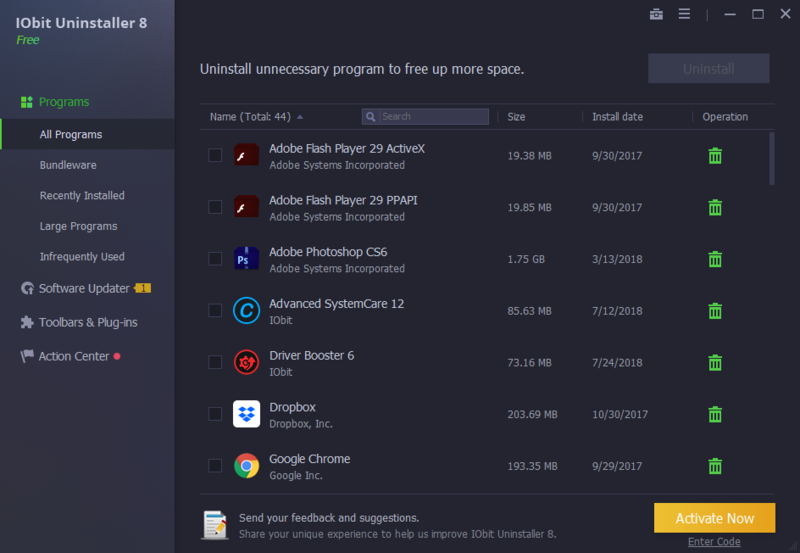 "IObit Uninstaller is probably one of the best software to remove unnecessary program from your computer." "IObit Uninstaller is probably one of the best software to remove unnecessary program from your computer. Unlike the basic windows uninstaller that program will remove all leftovers of the program, which later may slow down performance of your PC. I have been using this program for a several years and always it helps to keep my computer clean and fast. I had recommended this program to some of my friends in the past and would recommend it again today."